There are a lot of things bumping in my mind when I ask myself what would be my dream house look like? I somehow exaggerate my thinking to the point of creating unrealistic things like what we have on fairy tales. To think about it, I guess this photo below would be the best representation of my dream house on my mind. 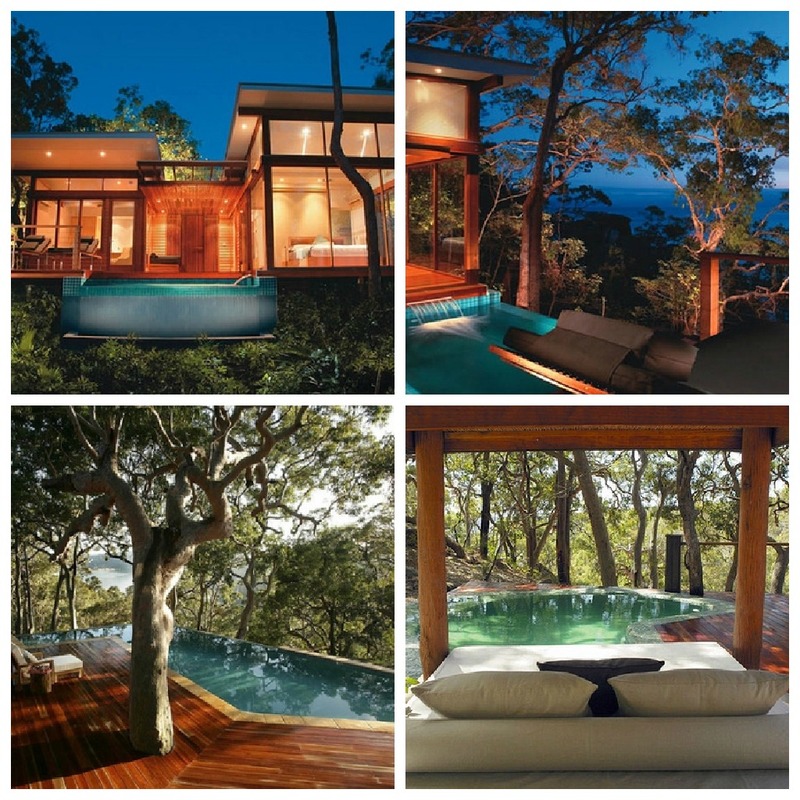 This house define calmness, cozy-ness yet this is also one of the most expensive house ever made; I guess. To whoever owns this, you nailed it for owning such a wonderful place to live and you just made the people of the world envy you. But little by little as you see life, the only thing you realize and want to have is not how awesome your dream house is but a home with a happy family. So I guess my real dream house would be having enough rooms for the amount of people I have to live with. Just enough rooms as said because I wouldn't want to much rooms for the amount of people I had to accommodate and be the coziest thing possible then. Comfort is the key to an enjoyable and a dream worthy house. It would probably be in some calm area. I would like it all to be nature colored but still a rainbow of different colors. This is my dream house, comfy but reasonable. I think my dream house best describe me as like what other's that best describe their personalities. Apart from dream house, my dream vacation would be in Boracay, isn't it fabulous having your own dream house plus getting your dream vacation? Anyway, let's back to the story. Everyone has their own dream house yet only few has the chance to have it but nowadays things aren't that way, everything is within reach and owning a dream house could now be possible at Bel-Air Residences as they redefines quality living with exceptional convenience, modern design, and comfort. the center designed so you can effortlessly manage your work, family and entertainment. 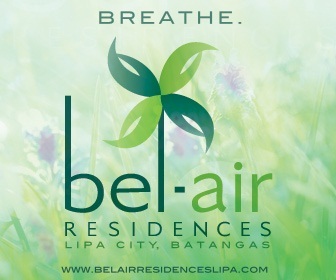 Bel-Air Residences Lipa can be found in one of the best cities in the country. 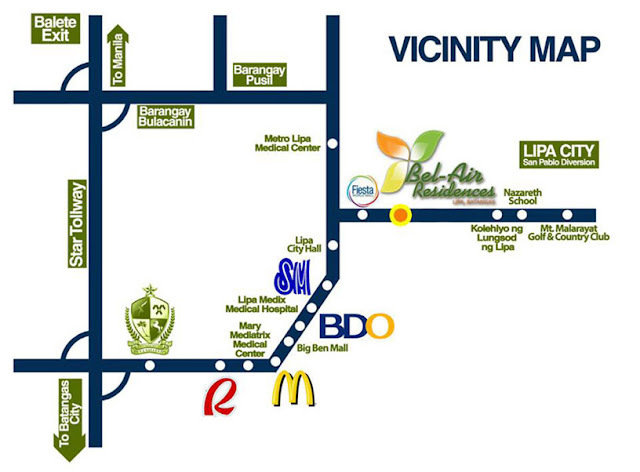 Bel-Air Residences Lipa is near schools such as Ateneo School of Business, De La Salle University Lipa and many more. Aside from that it is also being close to established hospitals like Lipa Medix Medical Center and Metro Lipa Medical Center, the village is walking distance from major malls such as SM Lipa, Fiesta Mall, South Supermarket etc. Other leisure places like the Mt. Malarayat Golf Course, The Farm at San Benito and famous Batangas dive sites are minutes away also. It is indeed everything are within reach.